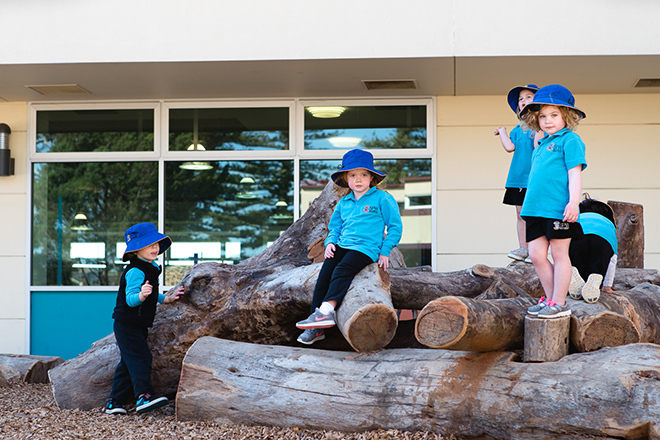 Outdoor play is important for a child’s health and development. Staying safe in the sun is easy by following some simple tips. We have recently noticed the dramatic change in the weather with the temperature and the UV level rising. 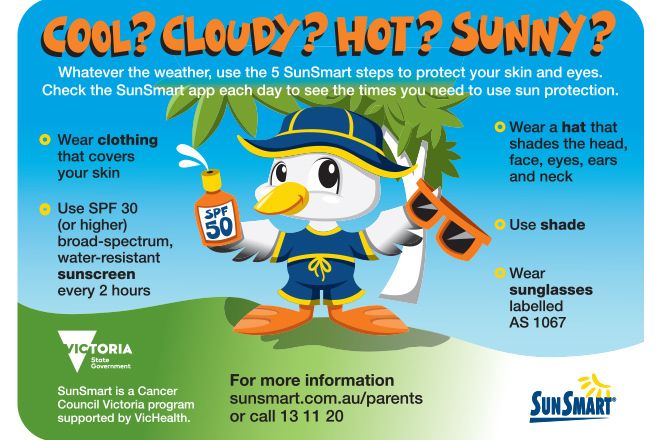 The following information, taken from SunSmart, is an important reminder about how to keep your child safe from the sun when playing outside. Slip on clothing – try to cover as much of the skin as possible with loose-fitting, cool clothing. Slop on sunscreen – use a SPF30+ broad spectrum, water-resistant sunscreen. Apply it 20 minutes before going outdoors and don’t forget to reapply every 2 hours of play and after each swimming and water play session. Slap on a hat – choose a hat that shades the head, face, eyes, ears and neck. Bucket, wide-brimmed and legionnaire hats are best! Seek shade – shade is an important sun protection tool for all ages. Be prepared to move around and follow the shade as the sun moves. Slide of sunglasses – eyes are sensitive so make sure that the sunglasses you purchase meet the requirements under the Australian Standard for sun protection. Set up a sunscreen station at home. The bathroom is a great space where a mirror can be accessed and facilities to wash hands when done. REMEMBER TO BE A ROLE MODEL! Children learn best when they see adults being sun safe. For more information about Sun Safety visit SunSmart.